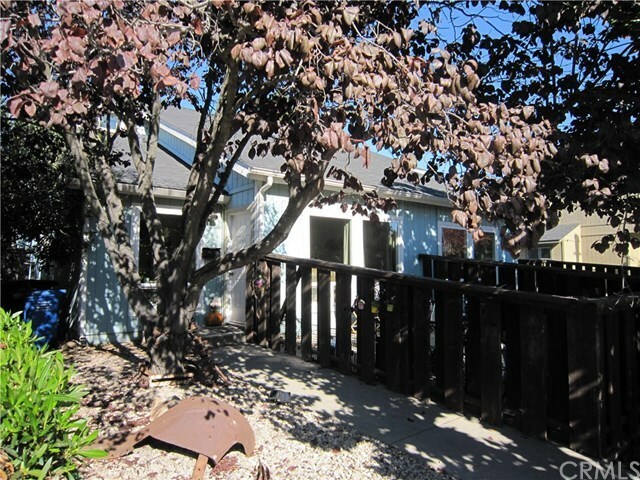 San Luis Obispo Three Unit Income Property back on the market after a beautiful remodel of Unit C !!! Duplex plus single family unit, all built in 1978. This is a one owner property with dual pane windows, vaulted ceilings, and laundry hookups in each unit. There are separate water meters, separate gas meters, separate electric meters. Units A and B are mirror image duplex units and are all electric. Each unit has 2 bedrooms and 1.5 baths with 964 square feet per unit. Each unit has an attached two car garage with laundry hookups and a fenced patio area. The house in the back is Unit C. It is newly remodeled with fresh paint, carpeting, vinyl, light fixtures, hardware and more. It has 3 bedrooms and 3 baths, plus an office for a total of 2037 square feet. It has an attached two car garage and a big private back yard and patio that backs to a greenbelt. Units A and B are near mirror images. Unit B rents for $1950 per month and is on a one year lease. Market rent for Unit C is approximately $3000 per month. Directions: From Los Osos Valley Road, turn north on Oceanaire. Property will be on the left.